With it’s 150,000th patient recently enrolled, Geisinger Health System’s MyCode project is helping set the standard for big health data projects around the world. The program has a system to easily enroll patients, process both their genomic and clinical data, return relevant results to them, and spur research. It’s what many biobank developers are dreaming of. Genomics databases now abound: there is the Million Veterans Program, the China Kadoorie Biobank Study, Vanderbilt’s BioVu, U.K.’s 100,000 Genomes Project, and many more. MyCode is unusual because of it’s rapid growth and the fact that it not only has a robust sequencing database but also more than 20 years worth of electronic health record (EHR) data. 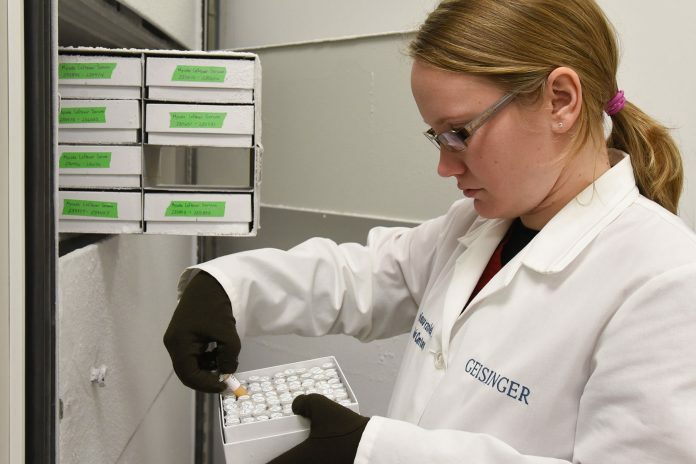 Most importantly, Geisinger is already using information gleaned from analysis of this data to guide care of its patients for almost 30 conditions, including breast and ovarian cancers, Lynch syndrome cancers, and hereditary high cholesterol. “There’s an immense amount of information in clinical records,” said Jeremy Rotter, Ph.D., who is helping build a biobank based at UCLA. “And people are starting to learn how to efficiently mine that data, including billing records as well as doctors’ and nurses’ notes.” Rotter is director of LA BioMed’s Institute for Translational Genomics and Population Sciences, Harbor-UCLA Medical Center. “We were one of the first health systems to install an EHR, we now have an average of 14 years of data on each patient in the system,” said Andrew Faucett, one of MyCode’s principal investigators, a professor, and director of policy & education at Geisinger. Normalizing and integrating that data with the genomic data, he explains, is one of the key challenges in this field. Any Geisinger patient can enroll in MyCode, either online or during a visit to one of the systems’ facilities. After they agree to donate a blood sample and have their EHR data mined (with privacy protection for research purposes), that sample undergoes exome sequencing.